I set myself a shopping challenge for last week’s half-term. The kids were on school hols, so I knew I wouldn’t be spending as much time writing the blog as usual. To make-up, I decided to do a bit of dupe spotting while out and about. Before I go on, I should probably explain. We were staying with my parents. I knew I’d be able to slope off for a bit of solo shopping – as any parent will know, shopping + kids simply do not compute! I also knew I’d only need to pop into two shops to complete my challenge! So onwards and upwards (I literally was walking uphill) to Home Bargains and Savers (Health and Beauty). We have neither chain in Tunbridge Wells, where I live. It’s always a revelation when I go back to my birth town in Warwickshire and do a bit of beauty bargain hunting. Thrifty shopping is a byword for Savers and Home Bargains. I don’t think I’ve ever left either store without picking up at least a couple of impressive looking beauty dupes. And so last week proved the same. These are the dupes I shopped. Well, I had to do a double take when I spotted this. At first I thought it was the real deal, some L’Occitane overstock that had made its way into Savers. From the foil tube the cream comes in to the blue circular logo on the front, this Ultra Pure Laboratories product looks remarkably similar to its much more expensive opposite number (main pic). 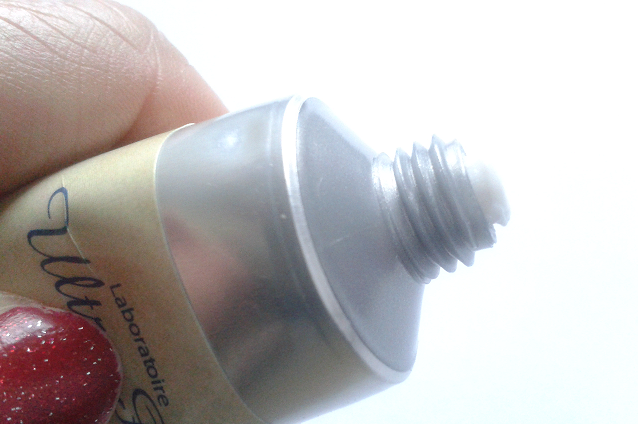 And get this - the Ultra Pure product actually contains 25% shea butter, compared to L’Occitane’s 20%! There are lots of shared ingredients – notably almond and coconut oils. This Ultra Pure hand cream is really rather lovely. It’s rich and nourishing, though when it comes to fragrance L’Occitane smashes it – as to be expected. 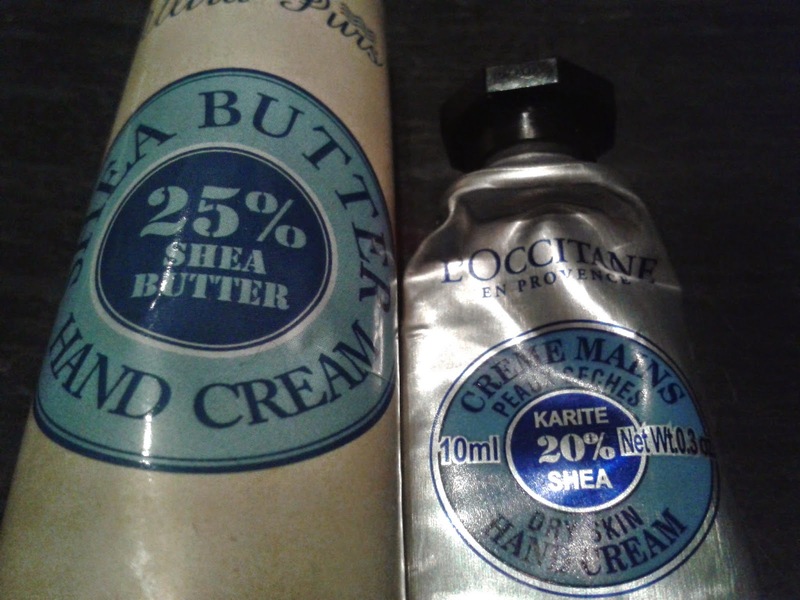 The Ultra Pure shea butter hand cream costs £1 for 50g; L’Occitane £8 for 30ml. Spotted in Home Bargains. The Easy Tease is said to glide through tangles, offer painless brushing and de-tangle both wet and dry hair. It also claims to reduce breakages and massage the scalp. So, all in all, a very similar proposition to the market leader Tangle Teezer. 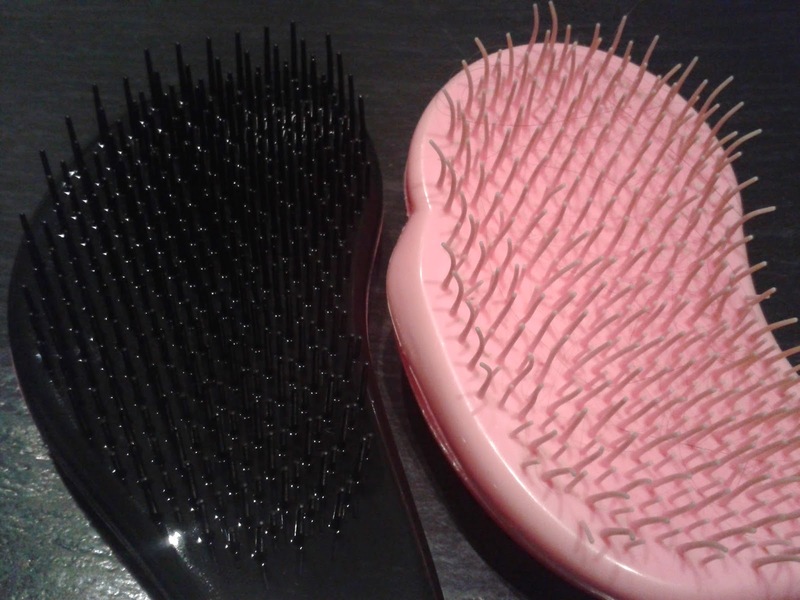 I’m trying to think of one female friend with a daughter of similar age to mine who doesn’t own at least one Tangle Teezer – I can’t! I let my daughter be the judge of this contest. And there wasn’t really any. I’m afraid to say, she didn’t like the dupe - at all! She said it pulled and yanked her hair and was rough on her scalp. Such a pity as it cost just £1.99! Staggeringly cheap compared to the Tangle Teezer, which start at around £10. Still, my daughter is not famed for bravely facing the Tangle Teezer, so I may have to give this one a go myself before I cast it aside completely. If you remove all the branding and sit these eye patches side by side you really can’t tell the difference. But it’s what’s in them and how they perform that counts. Skinlite emphasis the de-wrinkling aspects of its patch, while Sky Iceland focuses on firming and cooling. 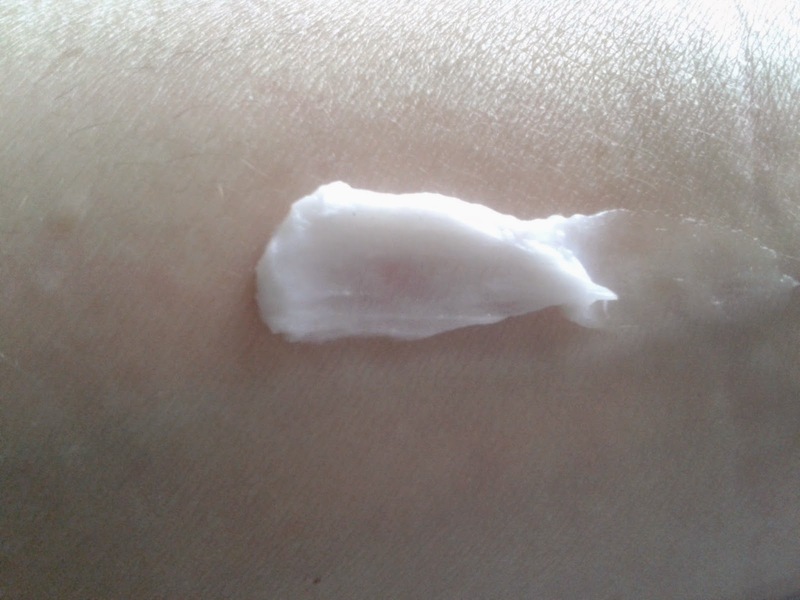 Apart from a list of ingredients there‘s little to go on to say how the Skinlite patches work, so it’s a bit of guess work. Castor oil (not great for sensitive skin) is here I guess to moisturise, while aloe vera soothes and ginseng regenerates and tones. Sky Iceland flags up its glacial waters, artic berries and pure oxygen properties and ‘a cutting edge delivery system’, though I have no idea what that is. 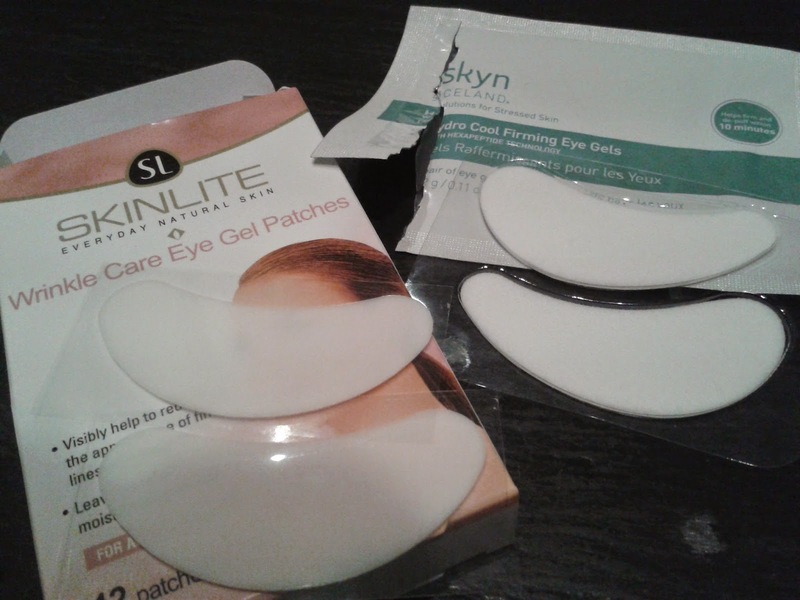 The Skyn Iceland patches have the more impressive ingredients’ list, but then at £25 for 8 pairs, as against Skinlite’s £1.49 for 6, you’d expect that. 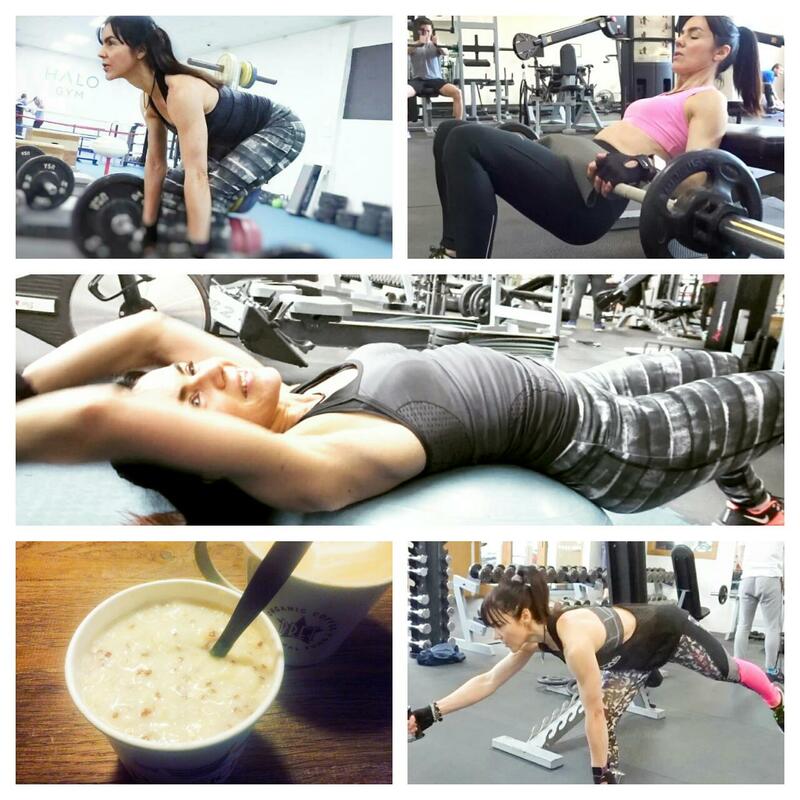 Results wise? Well, I’ve never been a massive fan of expensive eye patches. I’ve never seen results that justify the cost. In this round, I’ll take the Skinlite from Home Bargains. They certainly do hydrate and smooth skin. It may only be a temporary gain but at such a low price point who’d be without? I'm pleased to hear the hair brush didn't compare to the original as I've just spent £11 on another for Emmy as she keeps loosing them. Yes, shopping and kids are not a good combination :) I like products with shea butter very much, glad to see this one here, I didn't know it!Very good for people like me, with the tendency to have dry skin! Thanks for that and I hope you have a great weekend! I got an awful internet connection here in France... I am writing the same comment the 3rd time!!! :) The eyepatches for £25 should do some serious magic to justify the price when you have an alternative for a couple of quid, even if it's not quite as good.. Considering that the product works on the appearance of the skin, I would struggle to convince myself to spend £25 for a few eye patches..
Stowaway - The Future of Make-Up? January’s Empties – and Favourites! © Face Up Beauty. All rights reserved.